The Clean on the Go Stainless Steel Lock & Dial dilution control system offers maximum durability and accurate dispensing of the Clean on the Go chemical system. 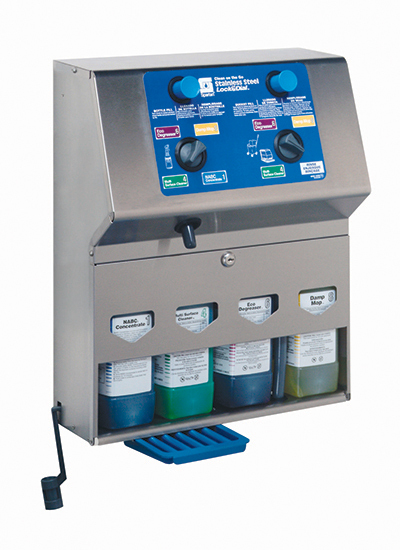 Through a simple dial control, the dispenser offers flexibility to fill both quart bottles and buckets from the same product. A convenient, integrated storage cabinet houses up to four 2-liter cartridges and locks to prevent theft and keep employees safe.